In order to do so: you need to ask yourself one question: at which time do I need a torque? 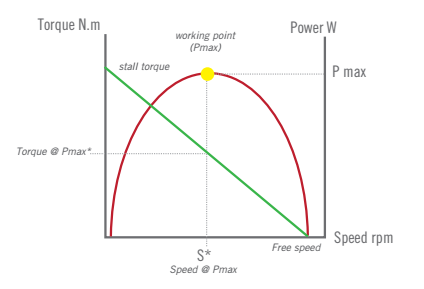 Is it the nominal torque, the starting torque or the stall torque I am interested in ? You need to know the starting torque if you are for example in the case of hoisting application (a hoist or a winch which need to lift heavy loads from the start). You need to know the stall torque if you need your motor to stop when hitting a certain torque. For example, for any tightening applications where the motor stops automatically when the piece is screwed. As you understood, figuring out if you need a starting torque, a stall torque or even a nominal torque is crucial and not always easy. If you are not sure, you can contact us via our website or by phone and we will know how to advise you and if needed, land you motors for trials.